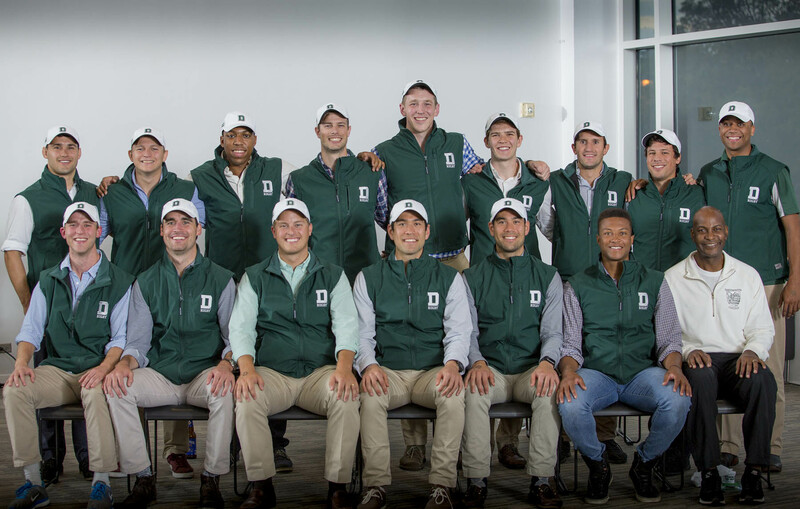 Dartmouth College and the Department of Athletics and Recreation inducted 18 new members into the Wearers of the Green in a ceremony after the homecoming football game on Saturday evening. More than 100 people gathered at the Top of the Hop to honor the induction class. Most of the 18 inductees were members of the men’s rugby teams that won the USA Sevens Collegiate National Championship in 2011 and 2012. Another inductee played for the Hong Kong men’s rugby national team, and two competed in the Olympics — Evelyn Stevens ’05 and Madison Hughes ’15. Stevens participated in the 2012 Olympics as a cyclist after spending her undergraduate years as a member of the women’s varsity tennis team, while Hughes (also a member of the 2012 Rugby Sevens championship squad) captained the 2016 Olympic men’s rugby team. Read more on Dartmouth Athletics.